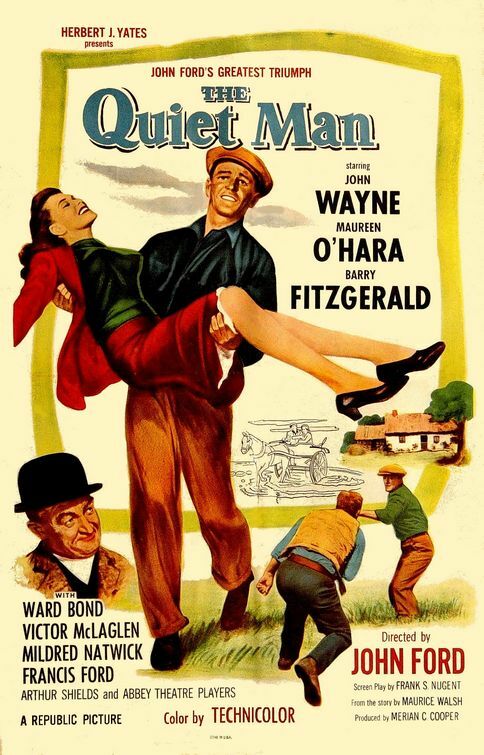 THE Must-see Movie for St. Patrick’s Day! An amazing support cast, a colorful story, gorgeous scenery, rollicking music, Protestants and Catholics living and supporting each other in Innisfree, Ireland; love and passion, quaint ways, a matchmaker, a brawl that falls into the street and the most wonderful way to enter a home, "God bless all in this house!" called out as blessing as each character enters another's place of dwelling. 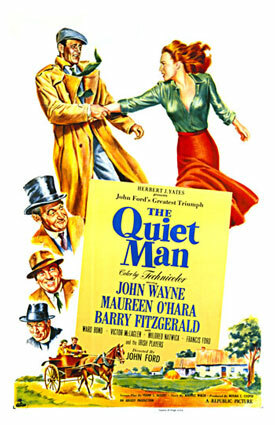 This Technicolor comedy love story from 1952 by director John Ford is an absolute classic you MUST watch annually! Some quotes: "A stick to beat the lovely lady?" — Head shaking, "Two women in the house – and one of them a red-head!" — "No paddy-fingers, if you please. The proprieties at all times. Hold onto your hats." — "Have the good manners not to hit the man until he's your husband and entitled to hit you back." — "Woman, Ireland may be a poor country, God help us, but here, a married man sleeps in a bed, not in a bag." NOTE TO SELF: Bless all in the houses I enter today! YAY!! 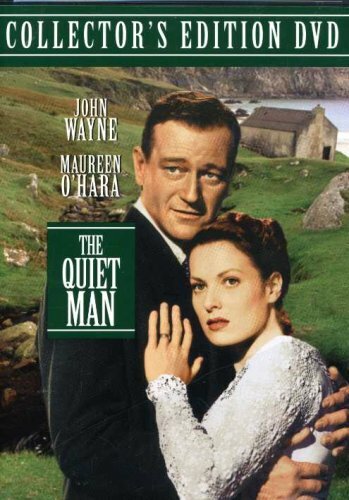 The Quiet Man! I wish I would have been home to watch it! I love this movie!! I forgot to watch it yesterday. Maybe I'll pop it in tonight and wonder where my Sean Donovan is. Make that Sean Thornton! Hey, what's the difference? They're all Irish names.